Part 1 -- The first half of a William S. Burroughs lecture on creative reading. The lecture mentions a wide variety of authors, including Alistair Crowley, Paul Bowles, and many others. The class also discusses science fiction, non-fiction, general semantics, scriptwriting, cloning, rotten ectoplasm, and judgment in cut-ups, as well as Burroughs's novel, The Soft Machine. 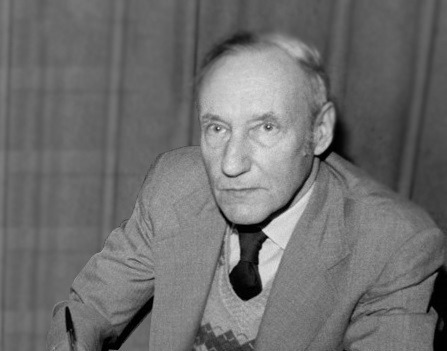 Part 2 -- The second half of a William S. Burroughs lecture on creative reading. The lecture mentions a wide variety of authors, including Alistair Crowley, Paul Bowles, and many others. The class also discusses science fiction, non-fiction, general semantics, scriptwriting, cloning, rotten ectoplasm, and judgment in cut-ups, as well as Burroughs's novel, The Soft Machine. You can find the course listed in the Literature section of our big collection of 500 Free Online Courses, along with many other engaging courses from great universities.